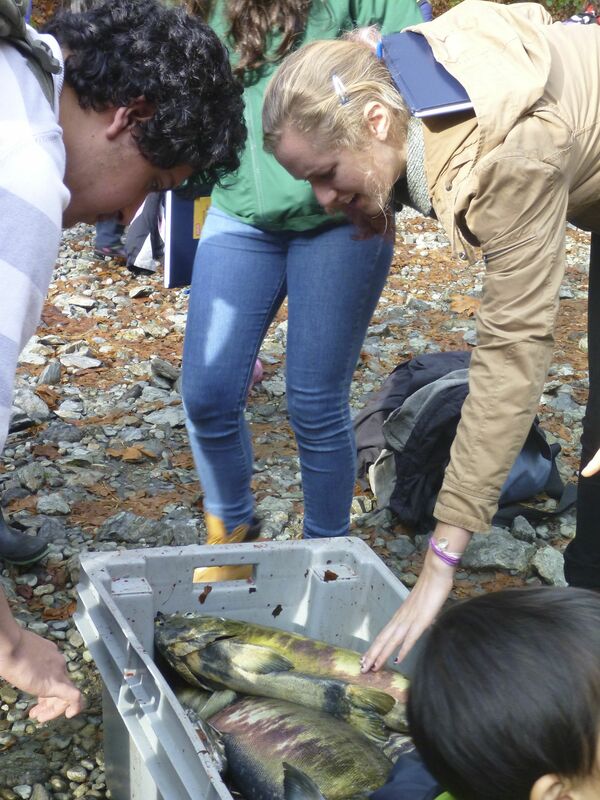 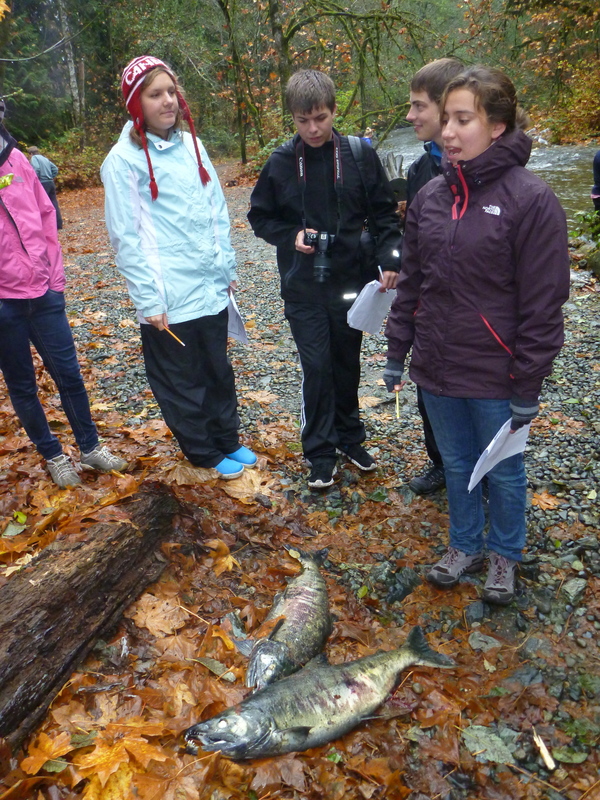 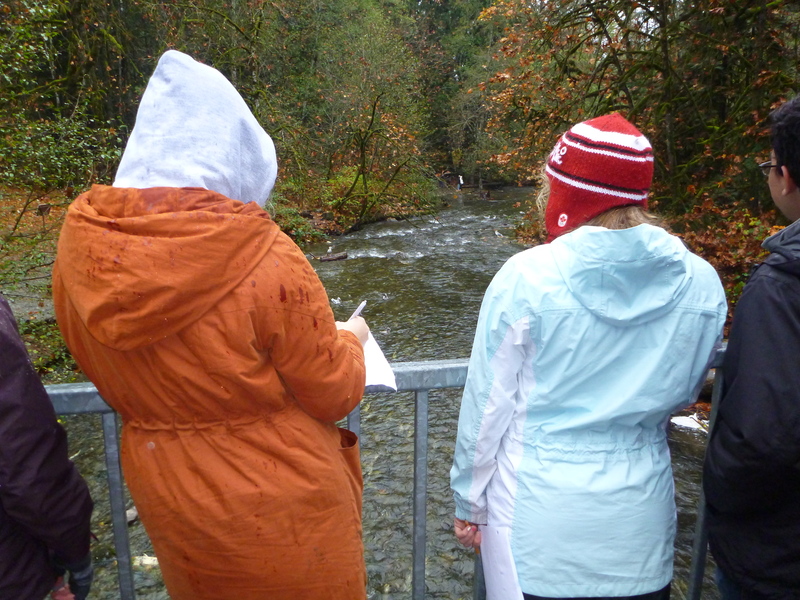 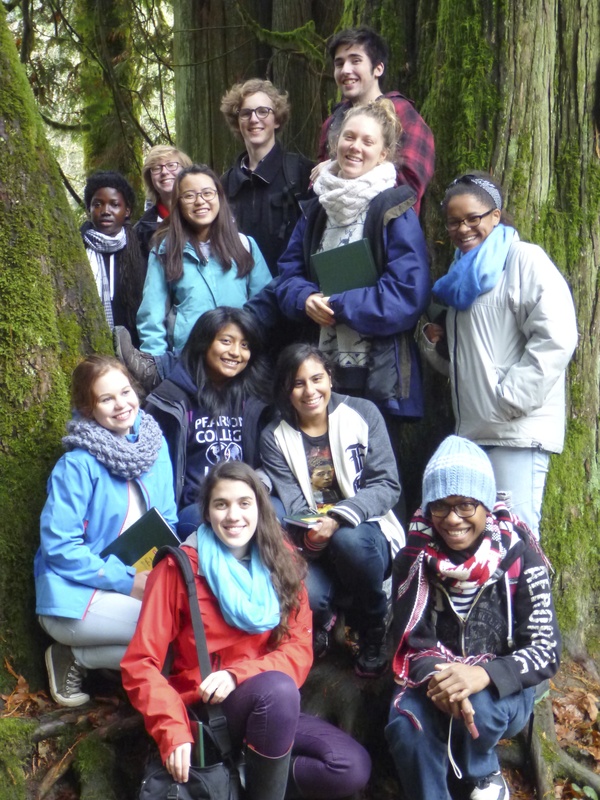 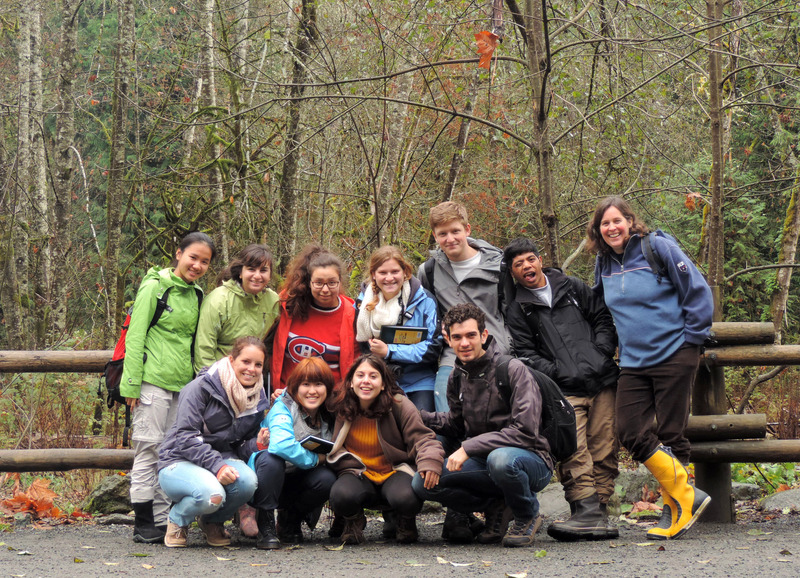 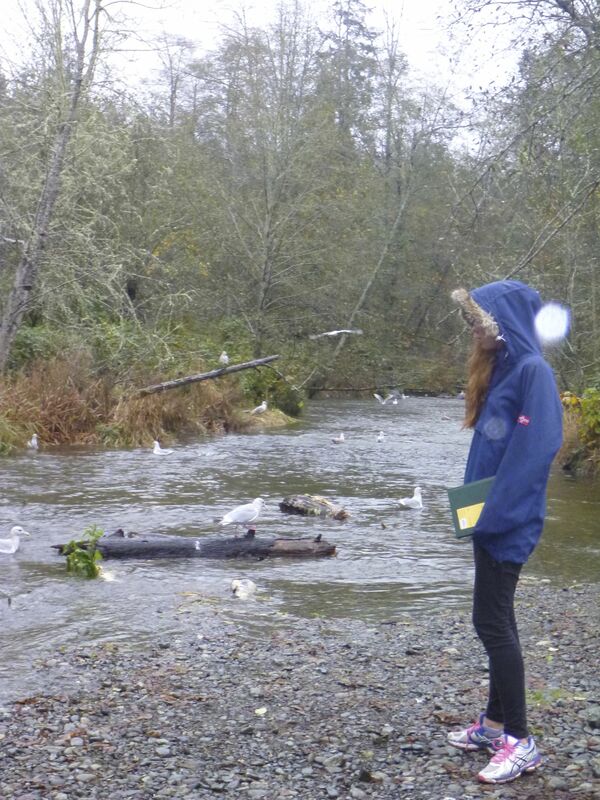 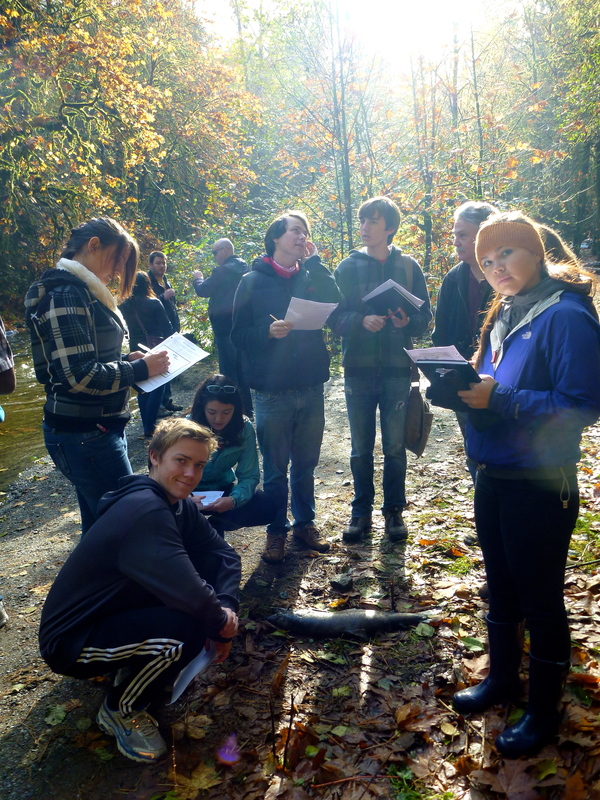 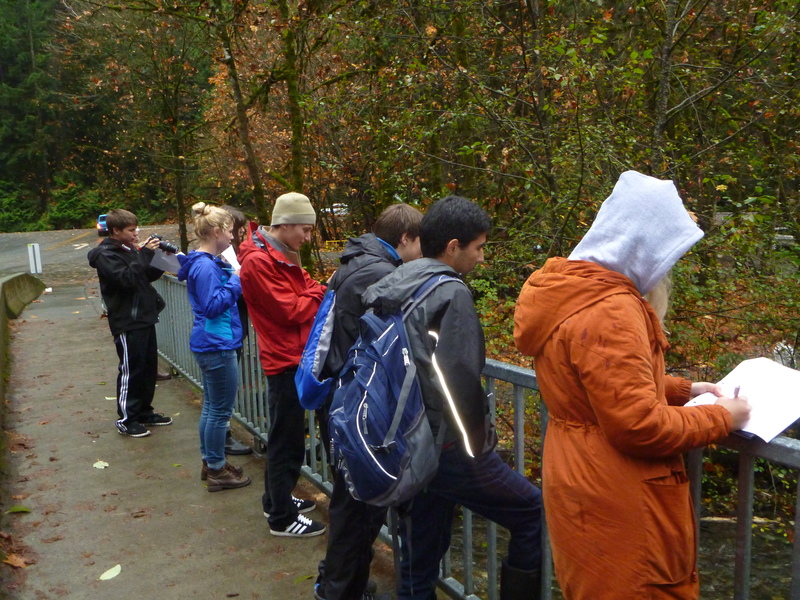 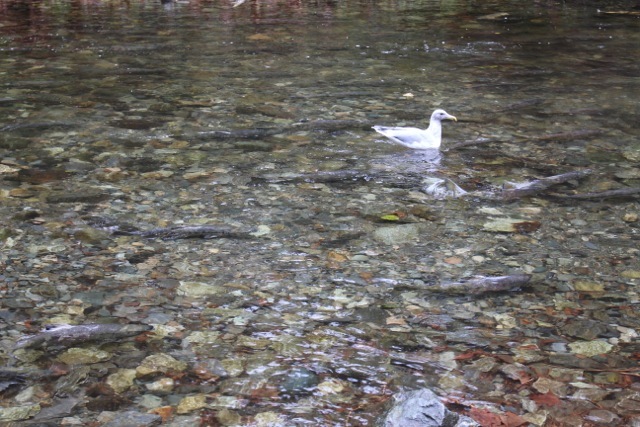 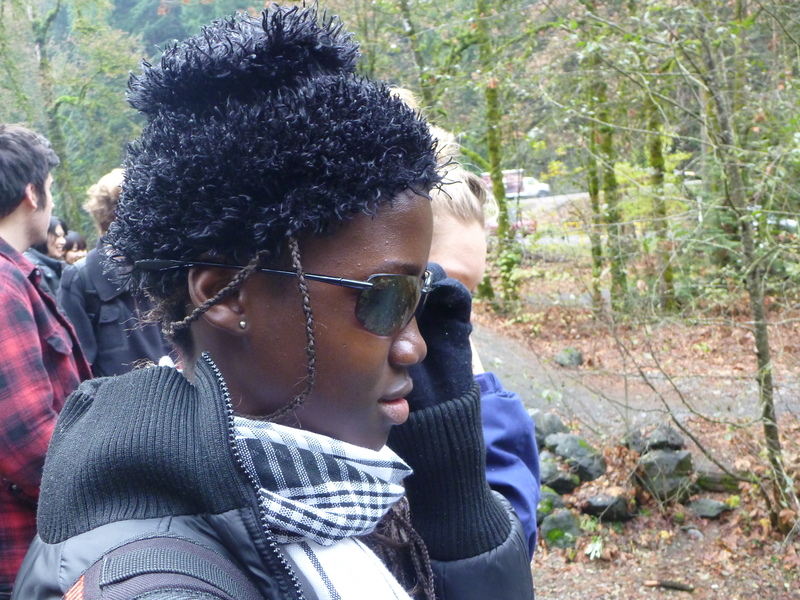 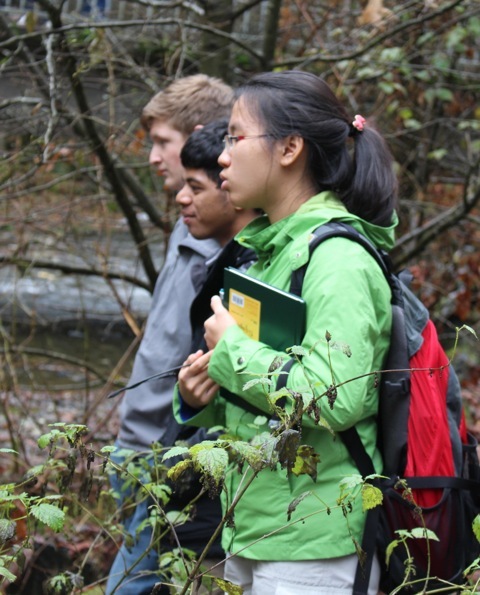 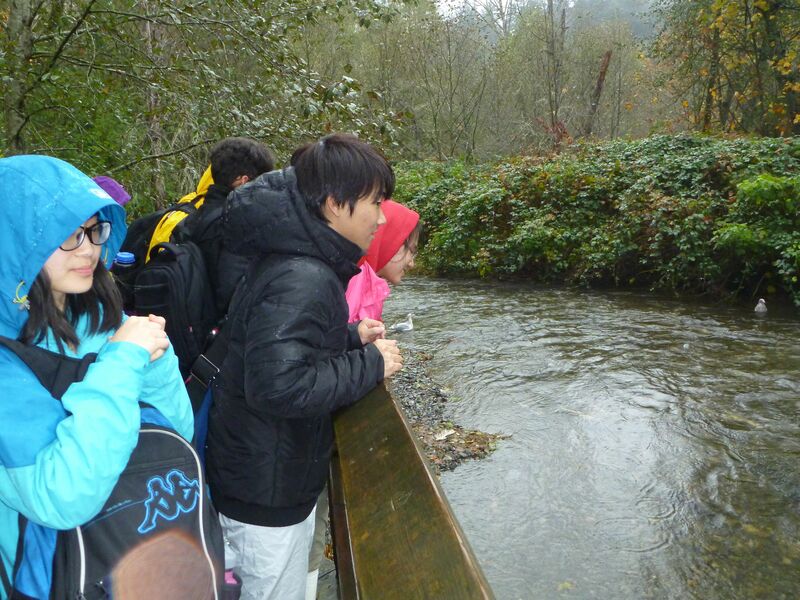 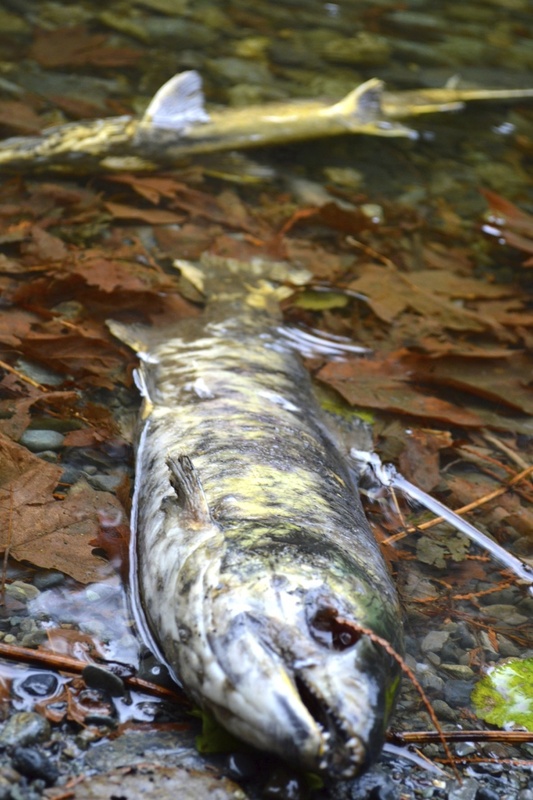 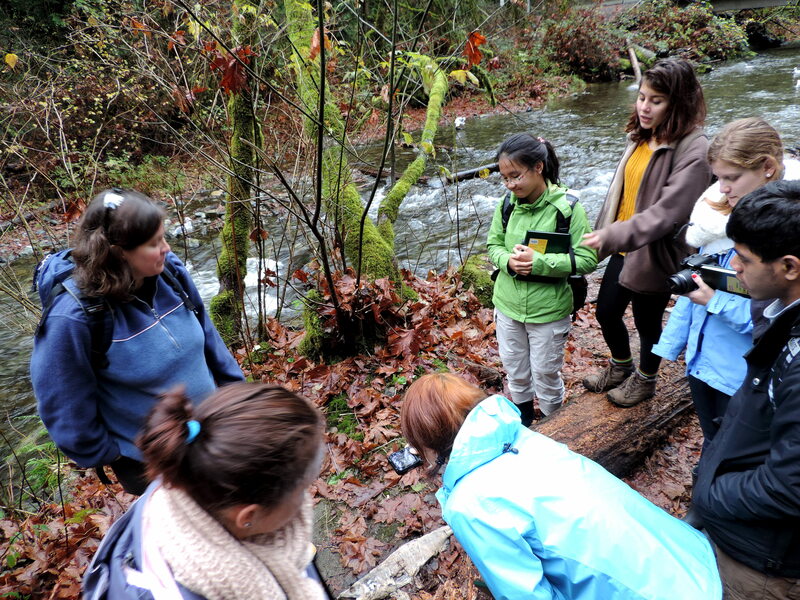 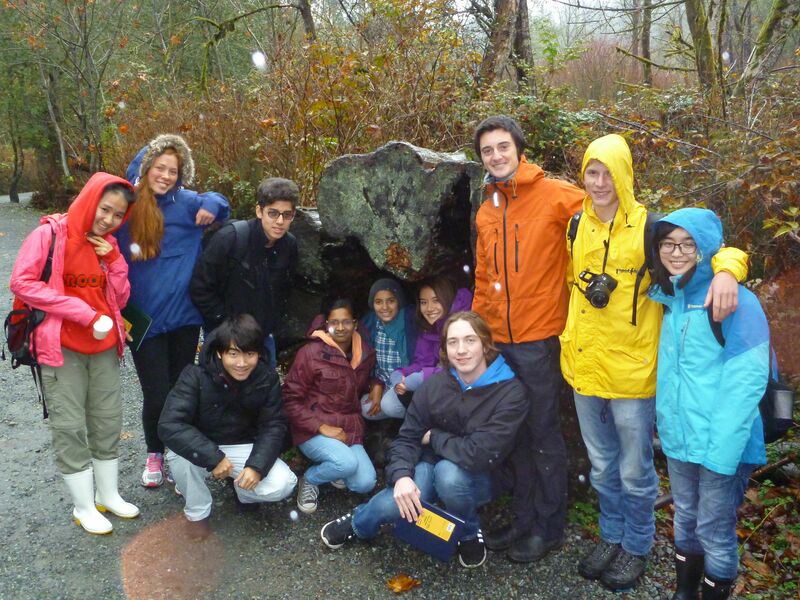 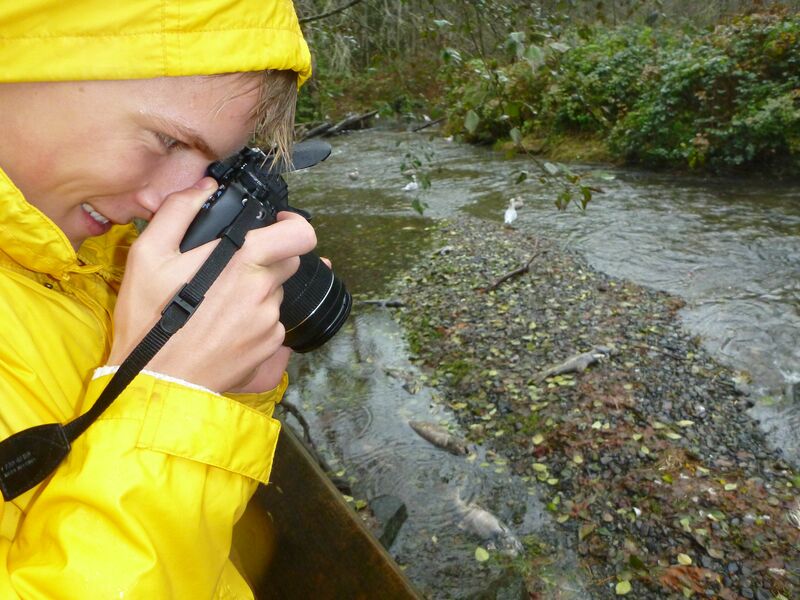 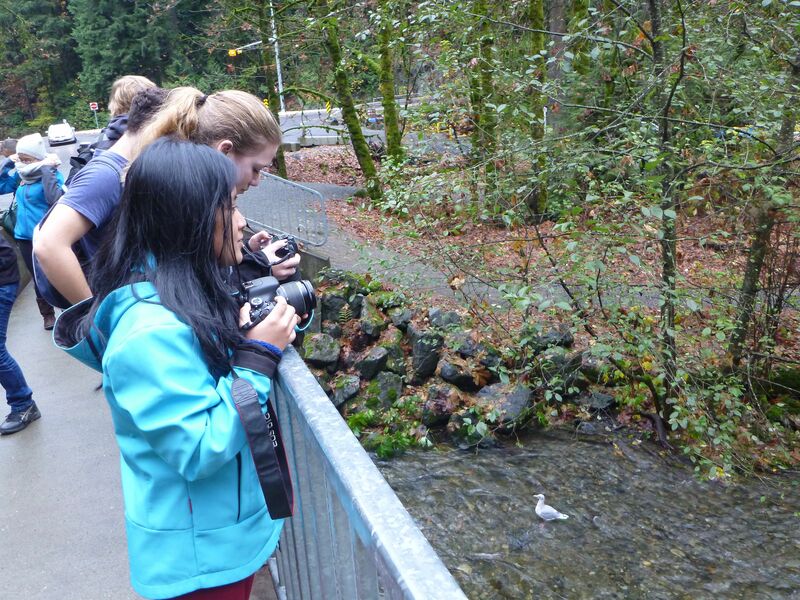 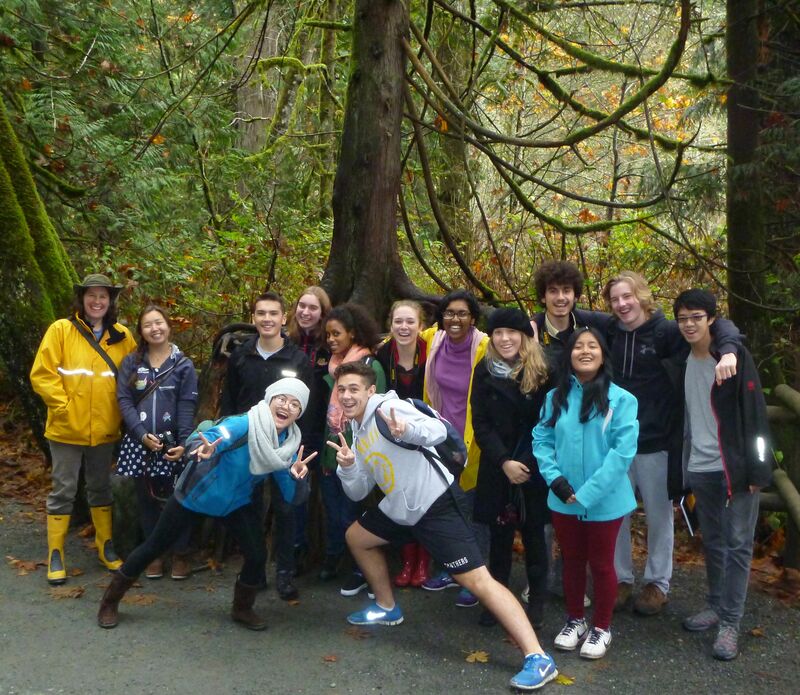 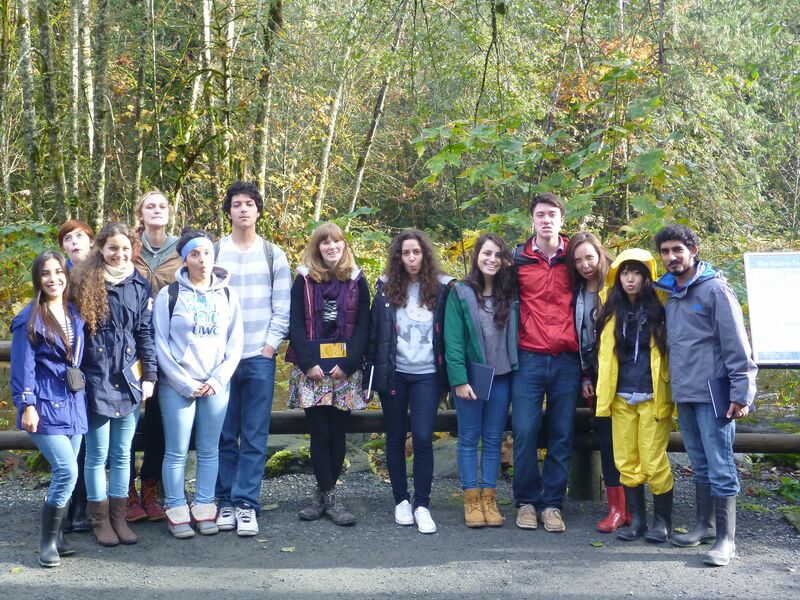 Yesterday and today, first year marine scientists traveled to Goldstream Provincial Park to observe the spawning salmon. 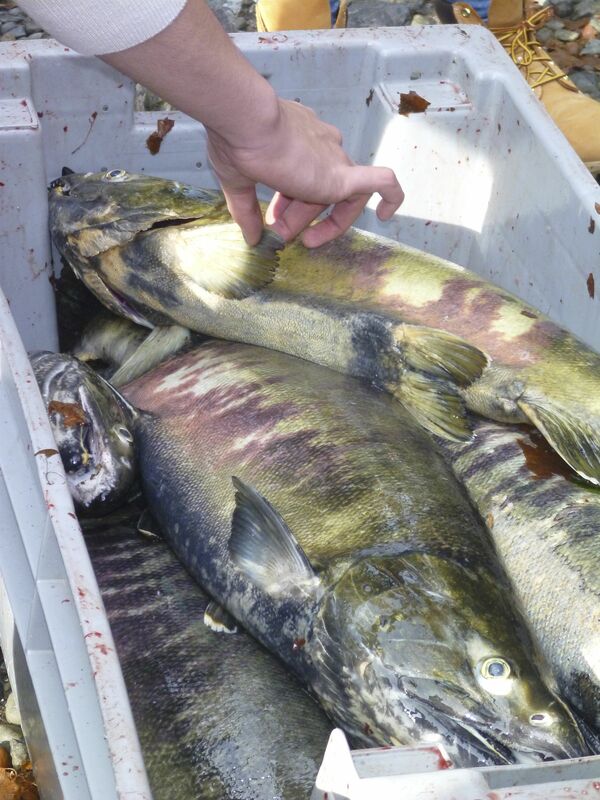 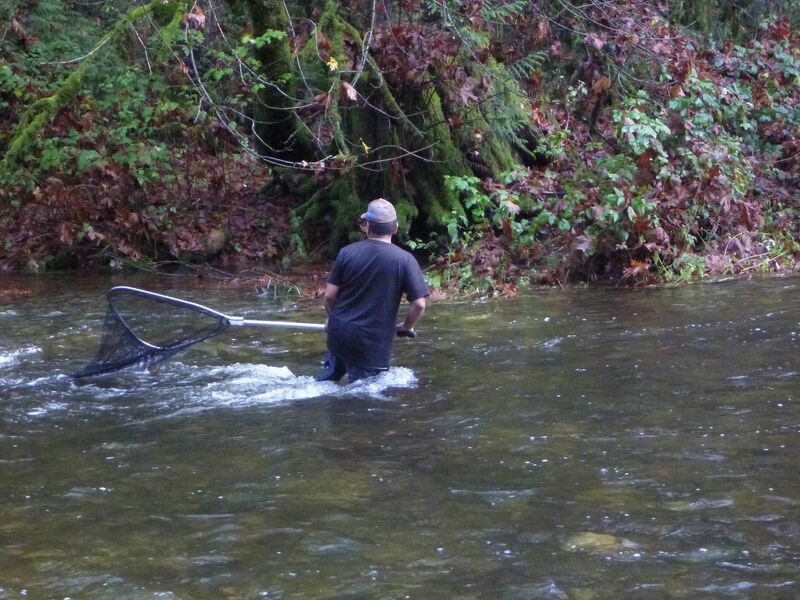 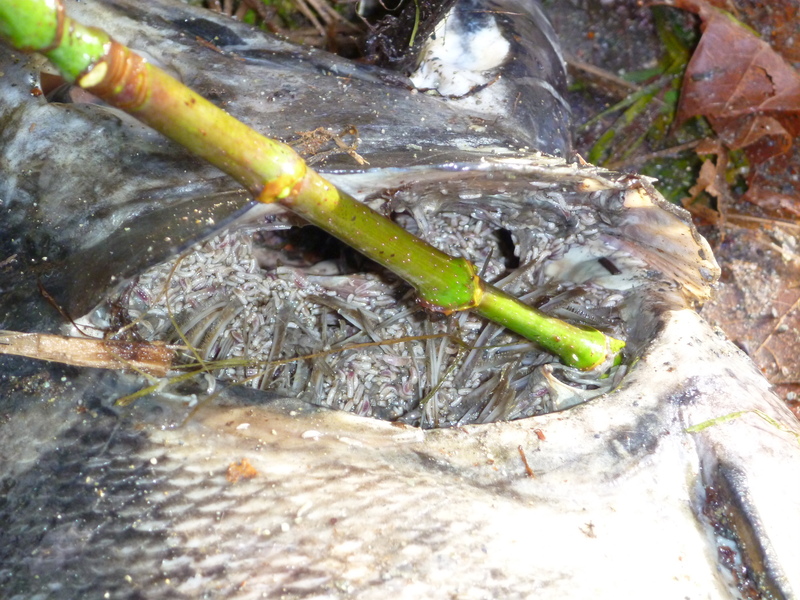 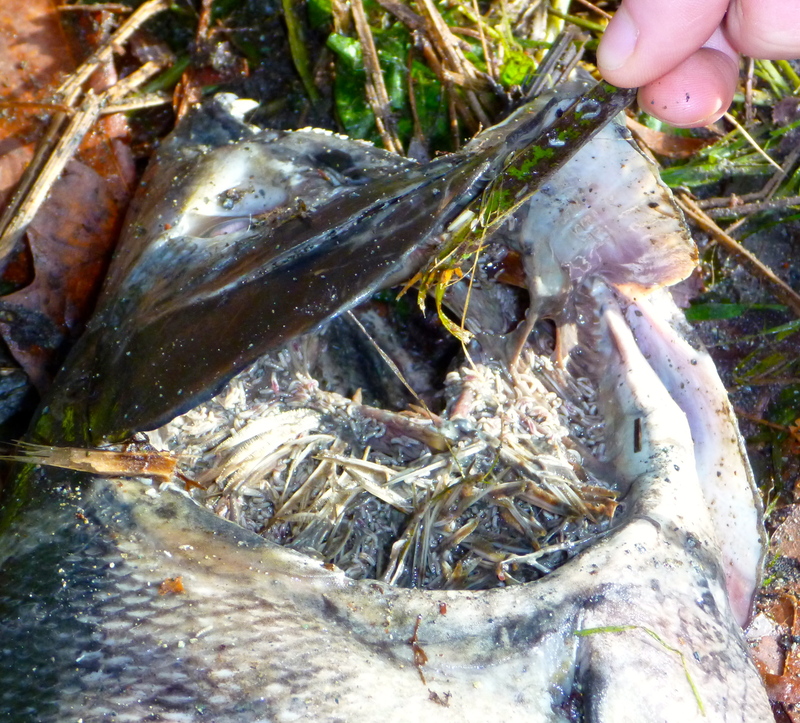 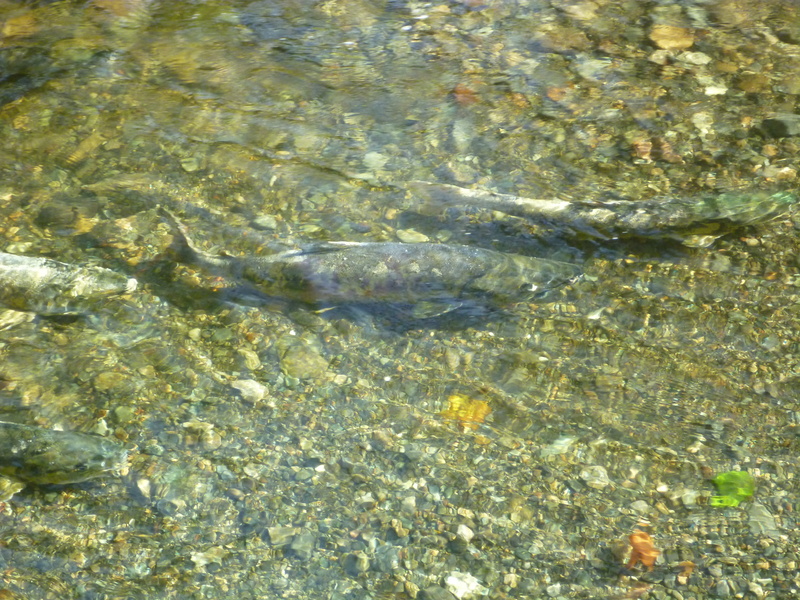 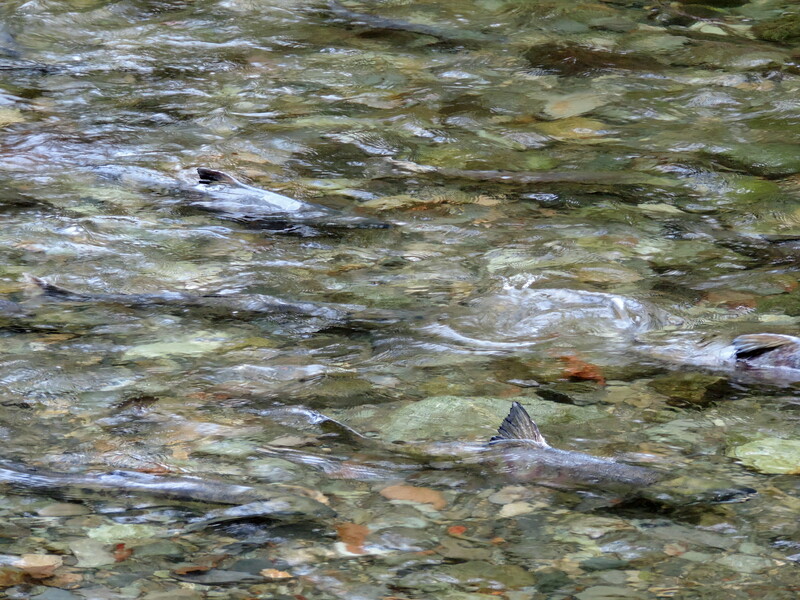 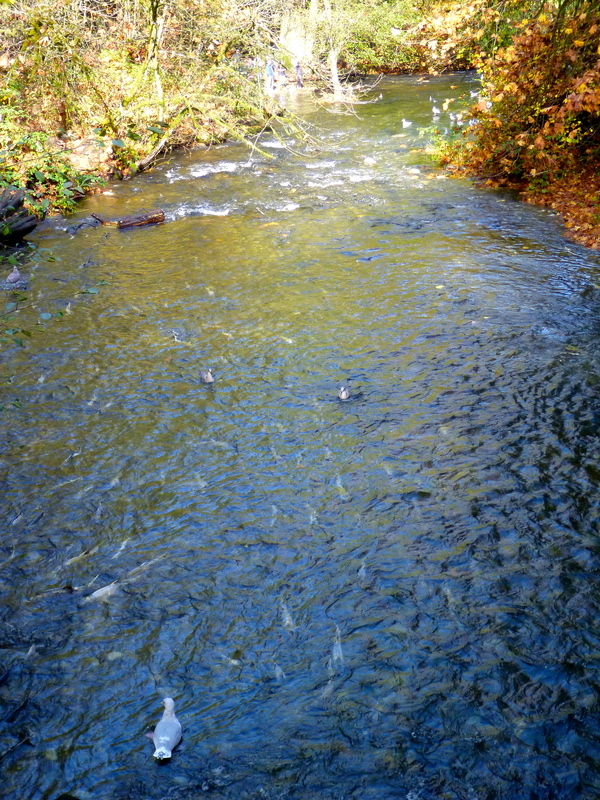 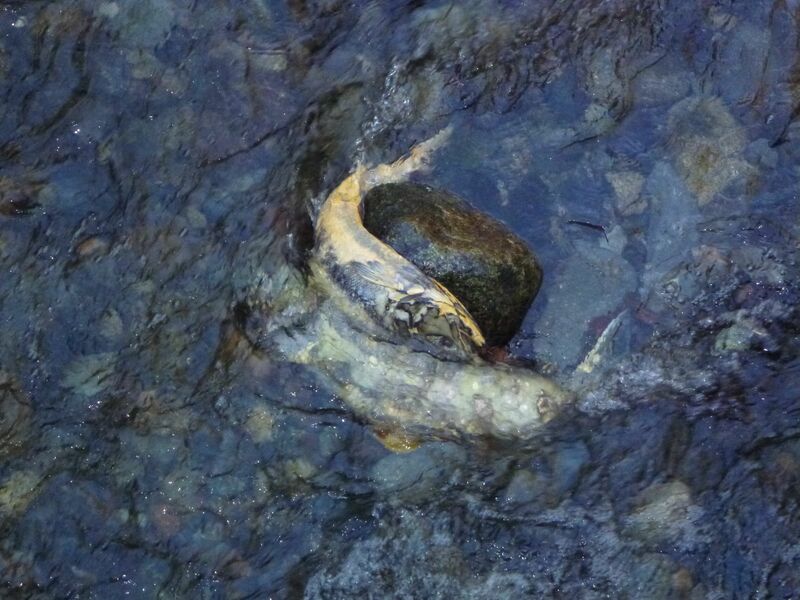 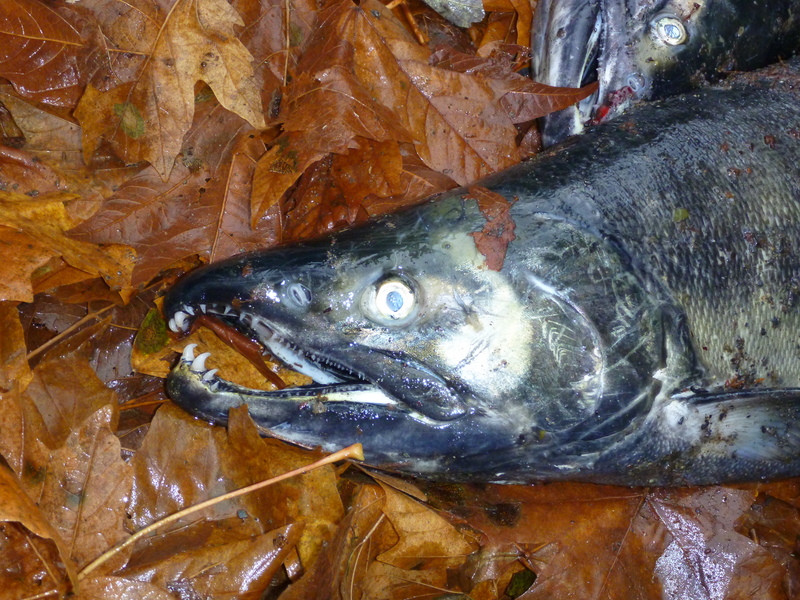 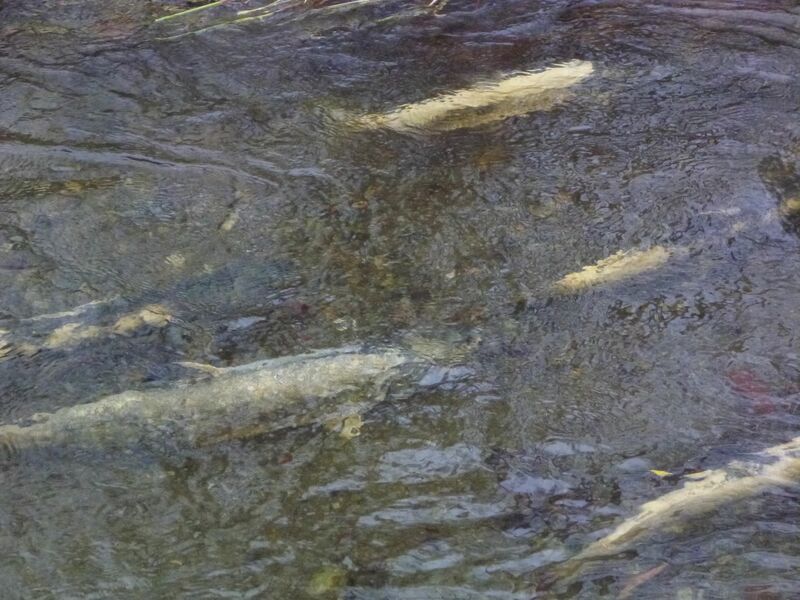 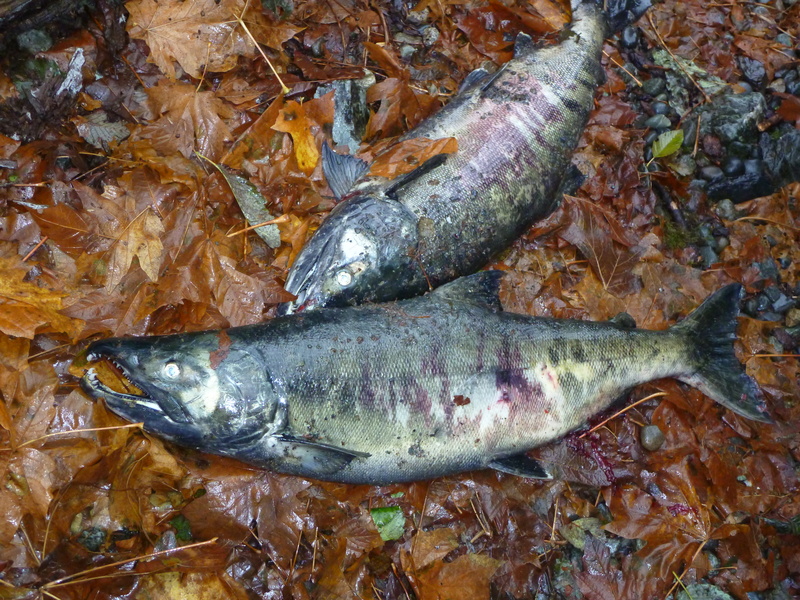 It seems to be quite a good year for chum returns – lots of salmon! 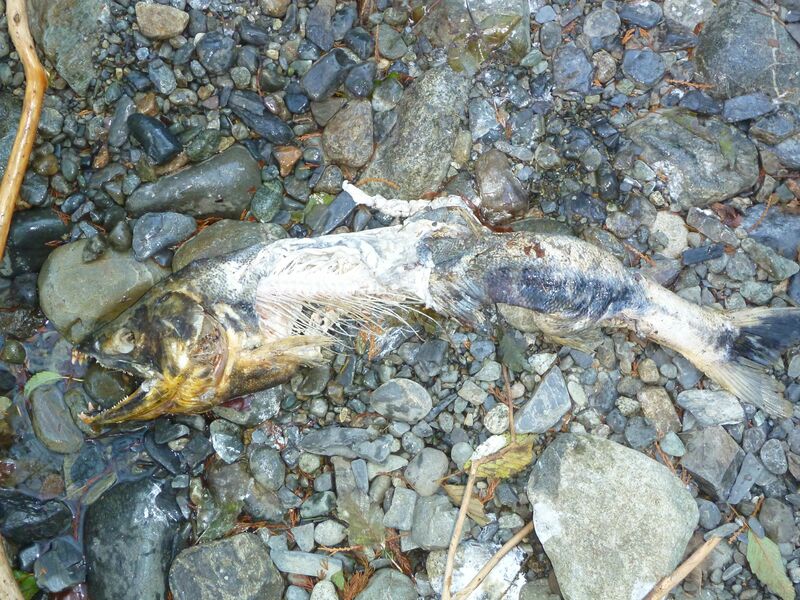 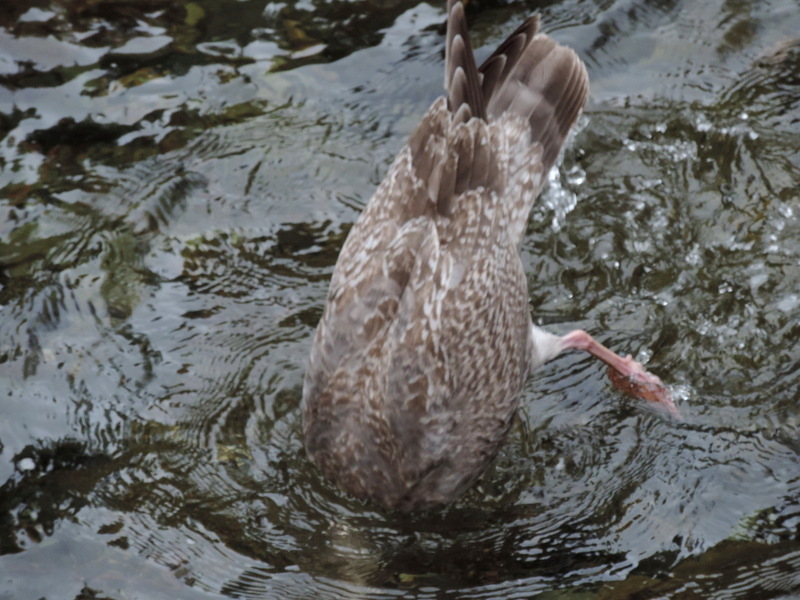 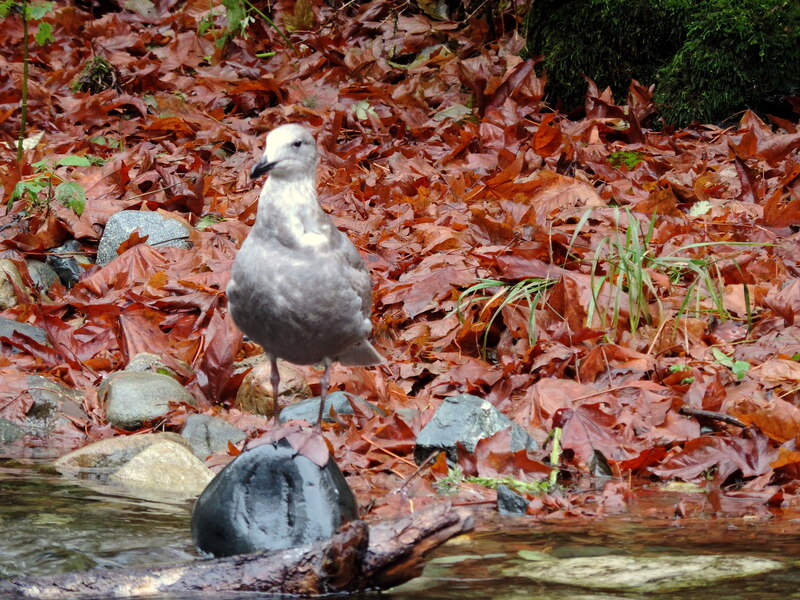 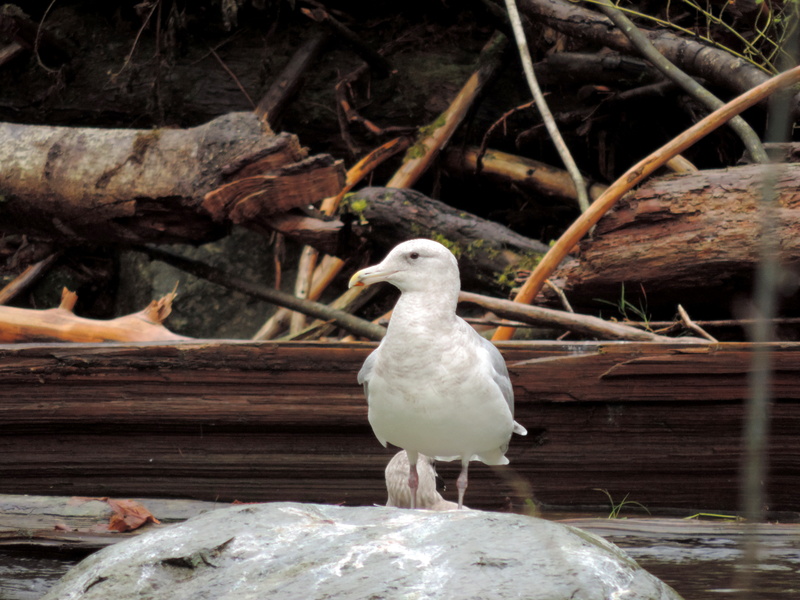 And lots of gulls feeding on dead salmon and on salmon eggs. 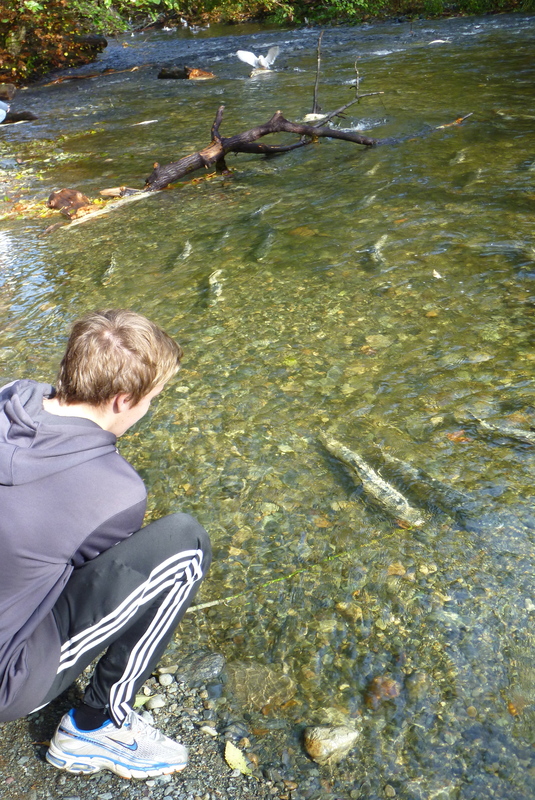 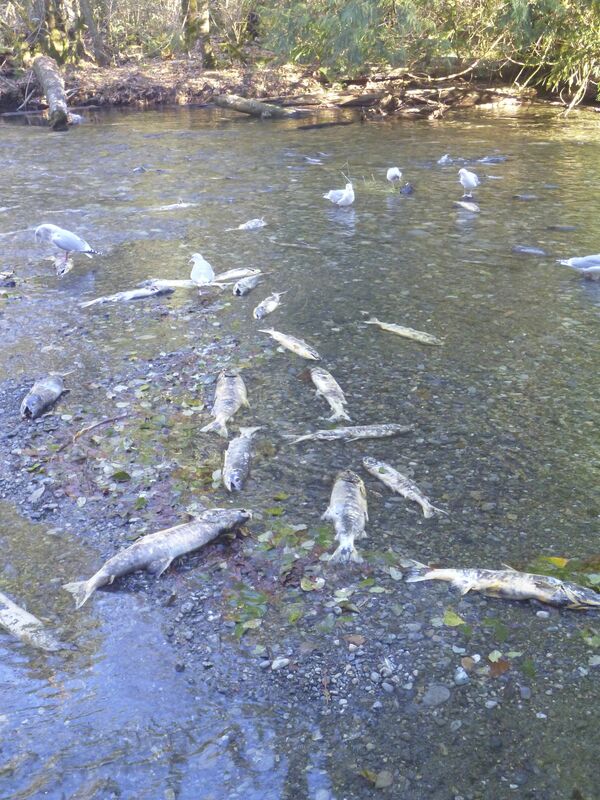 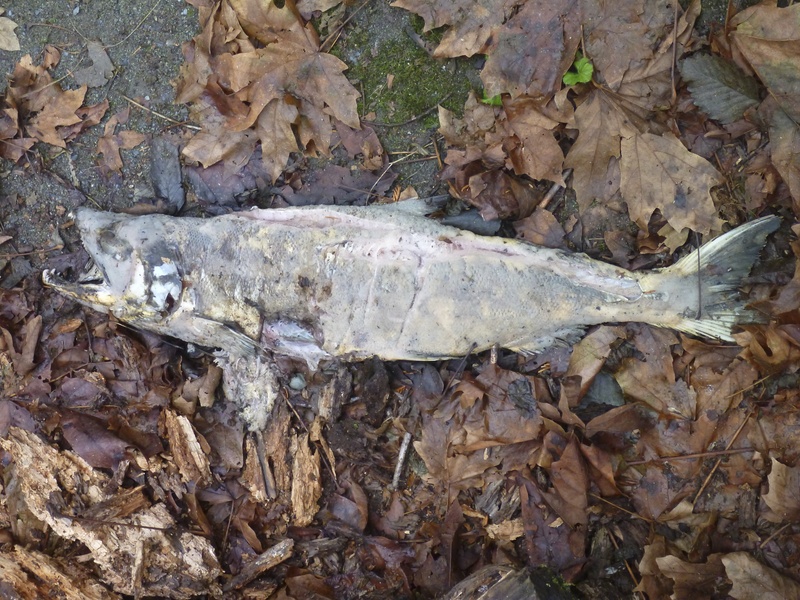 I had a significant realization while at Goldstream today… given that the average life span for chum salmon is four years, most of the salmon that are currently spawning at Goldstream would have come from the eggs and sperm spawned during the season when I took the very first cohort of Pearson College Marine Science students (Year 35) on this same field trip!